We are living through one of the most startling demographic shifts in history. Ad Contrarian reports, using a Business Insider chart, that in 1950, there were 3x as many under 5s as there were over-65s. 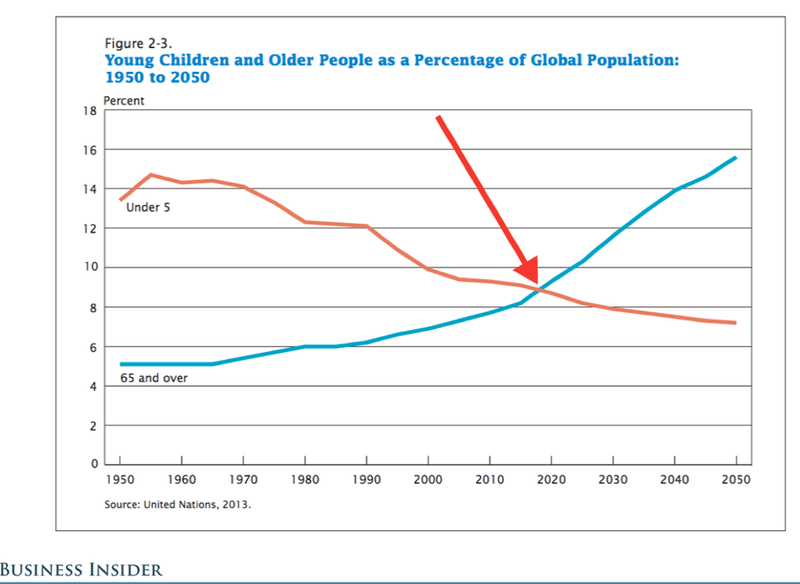 By 2050, there will be 2x as many oldies (over 65) as young-uns (under 5). The crossing point is right about now. That is staggering. It suggests a fundamental rethink about what is sold, about how trends are created and about how advertising and marketing will work. Over-50s will be “the most valuable generation in the history of marketing” (Nielsen).